If you take any medication or someone in your family does and you or they sometimes forget to take it. A new pill box called the Memo Box might be able to help you both remember. The Memo Box is an Internet connected pocket sized container and can alert others when a pill has been taken and also remind the carrier to take their pills when required. Watch the video after the jump to learn more about the Memo Box project and see it in action. The Memo Box project is currently over on the Kickstarter crowd funding website looking to raise £30,000 in pledges to make the jump from concept to production. “No sensor can yet determine whether someone swallowed their pills or not. The decision to build Memo Box with the ability to learn and to reason, instead of installing sophisticated sensors (such as a weight sensor), is based on the cost-effectiveness of making accurate predictions. Reasoning such as – ‘the possibility that you would have taken your pills without opening your pillbox is minuscule’ – and the ability to learn from your habits and feedback, allows Memo Box to learn whether the user is likely to have opened the box by accident or has in fact taken their medication. We believe that installing power hungry and expensive sensors for marginal improvements in predictive accuracy is a poor trade-off for shorter battery life, increased cost and bulkiness. 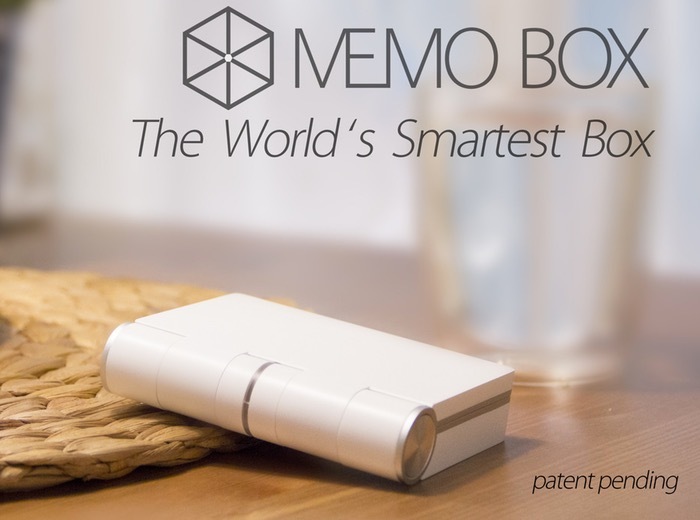 So if you think Memo Box is something you could benefit from, visit the Kickstarter website now to make a pledge and help Memo Box become a reality via the link below.